By capturing the secrets of favorite flavors from a particular time and place, cookbooks provide a unique taste of tradition. Cookbooks represent slices of life, whether reflecting family, a place or a point in history. Through time, they’ve depicted what food was available, which dishes people liked and how meals were prepared. Sometimes, they even become family heirlooms, with scrawled margin notes and dog-eared pages that point to personalized favorites. While recipe availability is becoming more common electronically, physical cookbooks remain staples in many American kitchens. “I like holding a book in my hands,” says author Damon Lee Fowler, who grew up cooking with his mother and grandmother. While writing “was always a big pull,” he worked as an architect for more than a decade before turning his attention to writing and cooking. “In places where there’s a strong identity with the cuisine, people feel an attachment to printed books that have been used by generations of cooks who perpetuated that cuisine through the years,” Fowler says. Recipes have been found inscribed on tablets from ancient Mesopotamia, and the Greeks produced cookbooks as early as 350 B.C. In fact, almost every literate society has created cookbooks. However, the roots of modern cookbooks can be traced back to those that were made for royalty during the manuscript age, when European palace kitchens boasted recipe collections both for the preparation of food and as status symbols. The invention of the mechanical printing press in the 1400s expanded cookbook ownership, just as it did books in general. The first American cookbook, “American Cookery,” was written by Amelia Simmons in 1796. Initially, there were not any “Southern” cookbooks, per se. “They were books written about cooking as the author understood it—and the authors just happened to be Southern,” Fowler explains. “The first important ones had a state in their names, [such as] ‘The Virginia Housewife,’ ‘The Kentucky Housewife,’ ‘The Carolina Housewife’—but they were not consciously recording a regional cuisine, but rather their individual experience.” A more deliberate regional emphasis in cookbooks started to become more common around the 1860s. “Possibly it was nostalgia for the romance of a lost world, but we begin to see books that were consciously or self-consciously ‘Southern,’ ” Fowler says. Today, the latest health trends, like the ketogenic diet, often top cookbook best-seller lists. Titles from celebrity chefs and even celebrities outside of the culinary world, such as television’s Joanna Gaines, are also popular. “I have noticed that more books are tending to concentrate on a specific genre or theme, rather than the more prevalent ‘all-inclusive’ cookbooks of my mother’s generation, or even mine,” Sue Jimenez says. Sometimes, beloved connections between food and people can stem from memories that were made at special places. 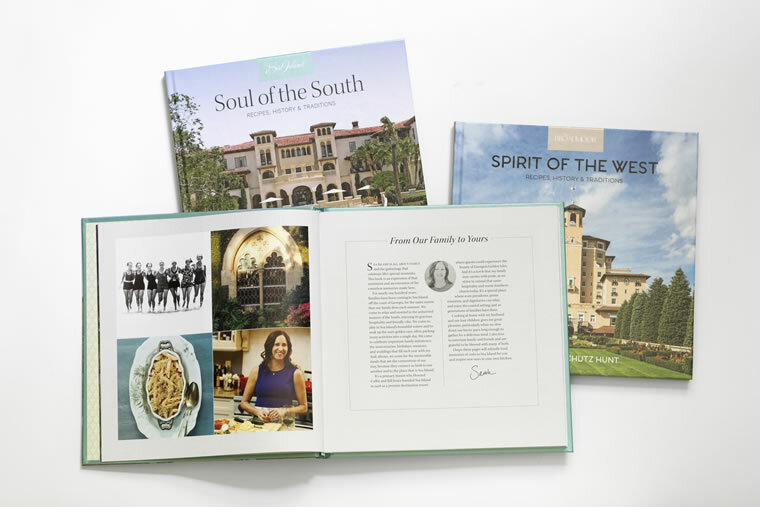 Such is the case in the new cookbook from Sea Island, “Soul of the South: Recipes, History and Traditions,” which is paired and packaged with “The Spirit of the West: Recipes, History and Traditions,” the new cookbook of Sea Island’s sister resort, The Broadmoor. In each cookbook, chapters focus as much on stories from the resorts’ pasts as they do the recipes. From the modern publications that reflect the latest trends to vintage versions that bring the past to the present, the wide range of cookbook categories inspire cooks and collectors of all types. His own library is heavily Southern because of his work in Southern culinary history and traditional regional cooking. “I have a few that are old that I treasure not for their value—they’re in terrible condition mostly—but for their content,” he says. He also owns cookbooks focused on international cooking, particularly Italian, and general American cooking. 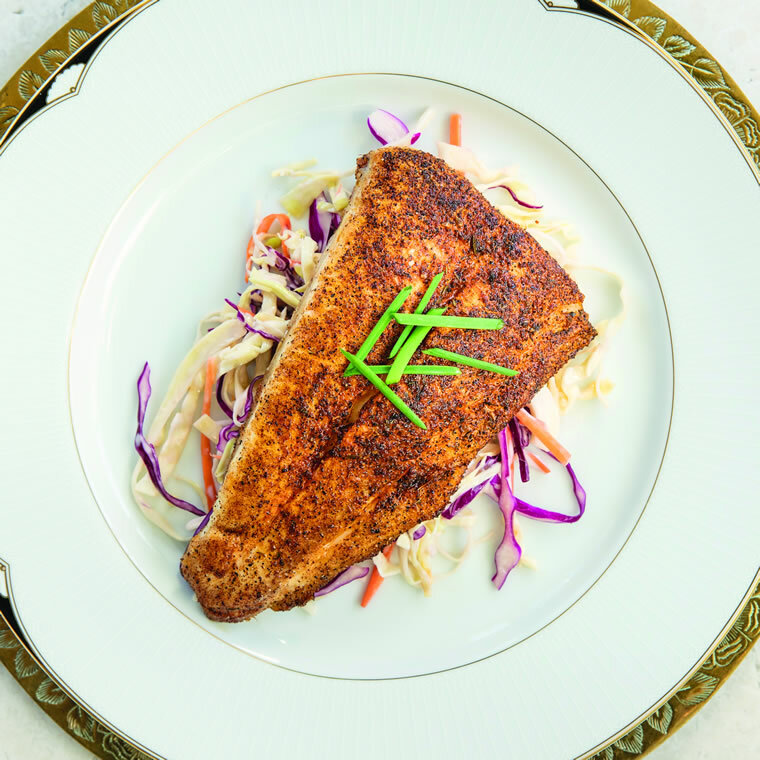 Sarah Anschutz Hunt, author of the new Sea Island and The Broadmoor cookbook set, has collected dozens of cookbooks over the years that fill her home library and kitchen. Of course, as a Guinness World Record holder, Jimenez’s collection is larger than most. “We have a very long 40-foot hall in the west part of the house, and a lot of them reside there,” she says. “I have deemed it the ‘Great Hall of Cookbooks.’ ” In addition, two guest bedrooms are full of shelves lined with cookbooks, and she stores the copies she hasn’t read yet in the master bedroom. To grow her collection, Jimenez searches used bookstores, garage and estate sales, thrift stores and eBay, mostly looking for out of print or unusual cookbooks. Among those she’s found is an early edition of “Les Dîners de Gala,” written by Salvador Dalí. She adds that “uniqueness” is a relative term. “What is ‘unique’ to me may be humdrum to another collector,” she says. 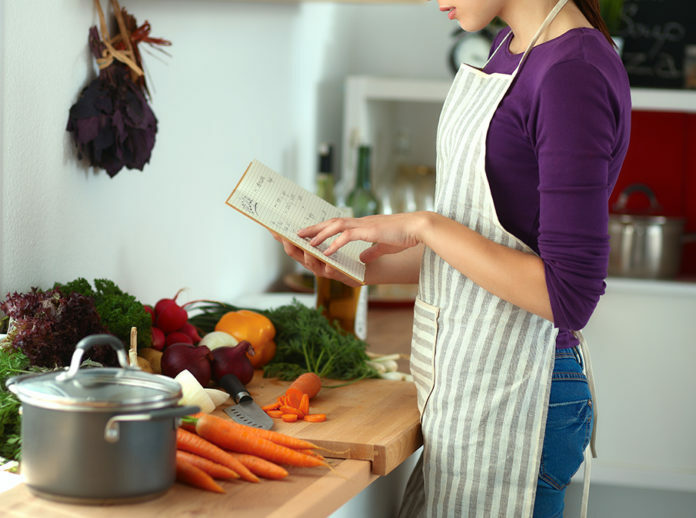 “I think people collect cookbooks for a variety of reasons.” For example, some choose to collect cookbooks created by celebrities, or they might collect vintage cookbooks and pamphlets produced by appliance-makers or food companies, such as Pillsbury. Church or charity cookbooks are another collection genre, as are collections based on a specific author, type of food or period of time. In general, out of print books are more valuable. Good condition enhances the worth of a cookbook, including an intact dust jacket. Those signed by the author are sought after, especially when the signature is from recognizable names such as Julia Child and Fannie Farmer. Whether they are featured in a small library in the kitchen or in a record-breaking collection, cookbooks capture and showcase the unique interests of culinary enthusiasts in the South and beyond. 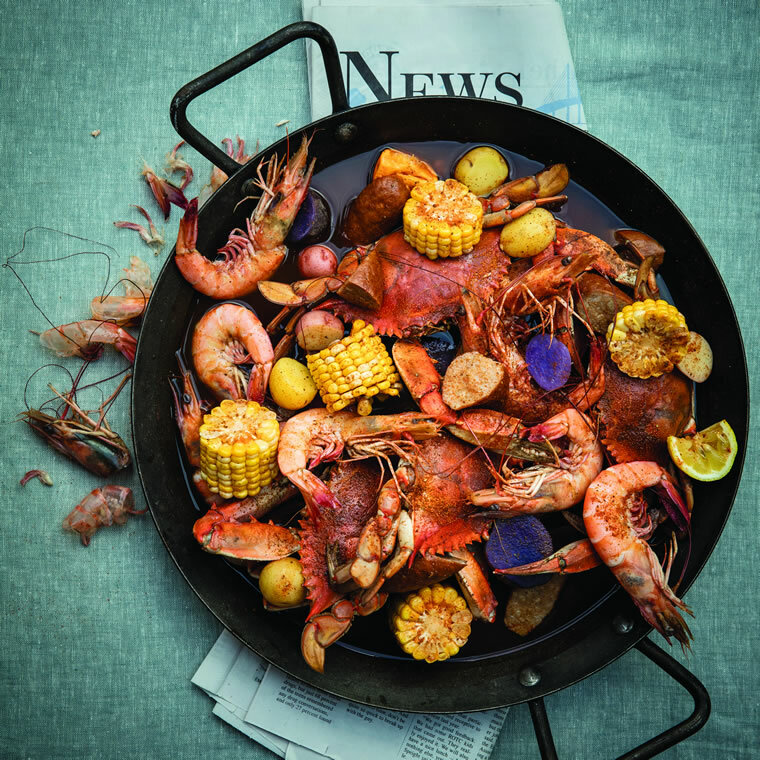 A new cookbook set captures flavorful traditions from Sea Island and The Broadmoor. Merry Tipton, director of marketing communication for Sea Island, notes that the publications are more than simply cookbooks. “They do have a wonderful array of recipes, but what really sets them apart is the richness of the memories and the traditions that we have,” she explains. Readers will find connections to particular places or treasured moments at Sea Island or The Broadmoor. 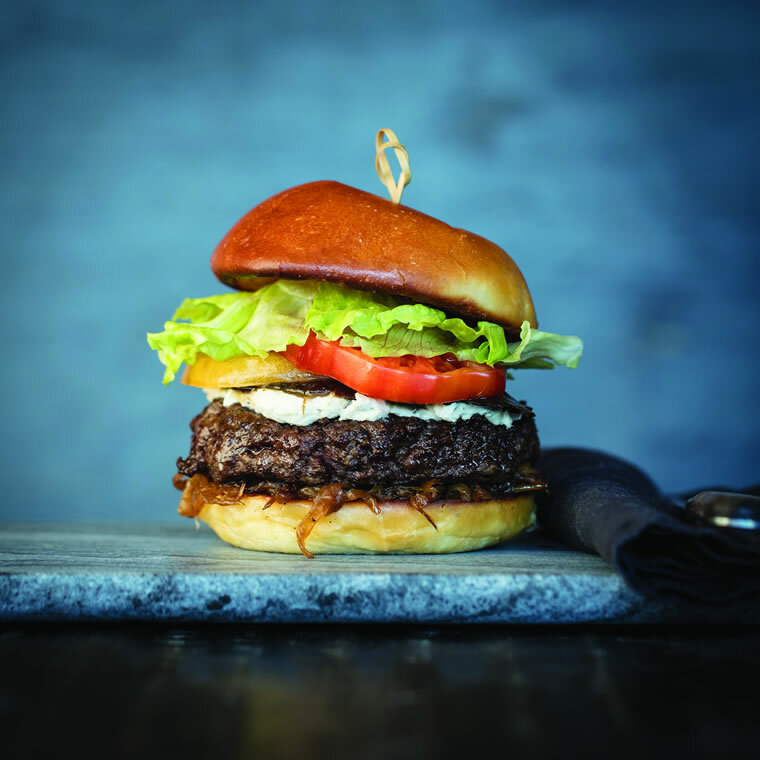 For instance, the Summit Burger, which is served at the River Bar & Lounge, epitomizes the connection between Sea Island’s past and an included recipe. “Sea Island hosted the G8 Summit that President George W. Bush held in 2004,” Tipton says. “When Jacques Chirac of France looked at one of the menus, he remarked that while it looked quite good, he would prefer to have a cheeseburger. Four other world leaders agreed that sounded good. And of course the Sea Island chefs hadn’t planned on that!” A wild ride from one side of the Island to the other, Secret Service in tow, yielded enough hamburger beef to satisfy the world leaders’ unexpected cravings. Like the burger, all recipes featured in the books reflect dishes that have been offered at the properties’ restaurants, although not every dish is available year-round or at more than one eatery. The recipes have been scaled to measurements more suitable for the home cook. The cookbook set is available in all Sea Island retail shops and at shop.seaisland.com.